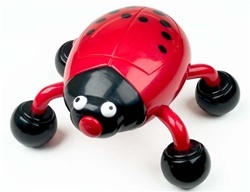 This bug shaped vibrating massager is a great sensory tool! 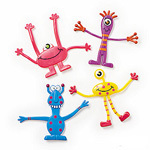 These great little jittering bugs are massagers for sore, tired and aching muscles. Its body fits perfectly in your hand, while its feet work muscles and relieve stress. An ideal for massaging fingers, foot and body and providing beneficial sensory input. This head massage stimulates the scalp leaving you completely relaxed and putting a smile on your face.